Bosch / Vetronix CDR crash data retrieval tool. recent download from a 2014 Chevrolet Silverado produced 174 pages of crash data. We offer air bag deployment crash data retrieval from the air bag SDM module for General Motors (GM) and Saturn vehicles. This can only be done using the Bosch / Vetronix crash data retrieval tool (CDR) and a PC. We can provide a printout of the stored crash data from the air bag SDM module (aka the black box, EDR, event data recorder, etc). The air bag SDM can offer extremely valuable vehicle data in the final 5 seconds leading up to an accident or air bag deployment event. 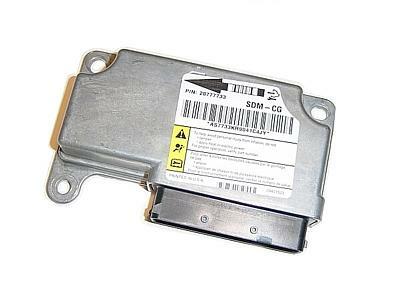 Most GM dealers are not aware that the air bag SDM module records crash data. The only way to recover General Motors crash data is to use the Bosch / Vetronix CDR equipment. 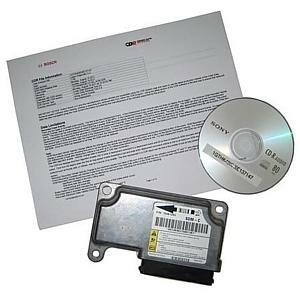 A dealership GM Tech 2 / MDI scan tool cannot recover the recorded vehicle crash data. offering you and your organization huge cost savings. • High quality printed and bound printout of the stored air bag crash data. • CD-ROM of the stored air bag crash data in PDF format. 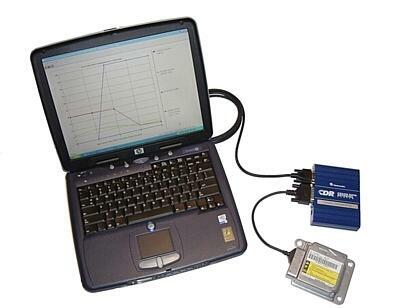 • Return shipping of the airbag deployment crash data printout, CD-ROM, and the original SDM airbag module. • The PDF crash data can also be sent by email the same day. any module downloaded even in cases where there is no air bag deployment. SDM / black box / EDR / event data recorder or require any further information. • How do I know if my GM car has a crash recording air bag 'black box' SDM / EDR? Please see our 'SDM airbag tech info' page for airbag 'black box' SDM / EDR locations by year and model. • I had an car accident, and the air bags did not deploy. Is there stored crash data? Depending on the year and model, there can be two types of recorded data. Deployment and 'non' deployment data. Deployment data is permanently written on the eeprom chip inside the airbag SDM module. 'Non' deployment information can often be recovered, and display the same last 5 seconds of pre crash vehicle data. Non deployment SDMs require special handling, please contact us for proper airbag SDM removal procedures in these cases. Pre crash data events apply to 1998 and later GM vehicles. Please note: Non deployment data is not permanently stored in the air bag module and can easily be lost by untrained technicians. Non deployment crash data will also be lost after about 250 ignition key cycles. • How fast does my car need to be to deploy the air bags? GM electronic air bag SDMs do not look at vehicle speed to determine an air bag deployment command. The airbag SDM looks for a change in acceleration on the vehicle 'X' axis to determine deployment criteria. • Why is the air bag module sometimes called the 'black box' ? There are several possible origins of the term 'black box'. Some believe it is because early (flight data) recorders and WWII radar units were painted black. Yet another description is, "the term black box has been used to describe something that performs a function, but its inner workings are complex and mysterious." In media related stories, CNN uses the term 'black box' to descibe the airbag module crash data "due to a lack of a better term." On airplanes, the technical term is flight data recorder. On GM and Saturn vehicles, the technical term is air bag SDM or air bag sensing and diagnostic module. • Are General Motors vehicles the only cars that have a EDR / event data recorder / black box? No, based on a directive by the NTSB, almost all vehicles sold in North America since 1997 are recording some type of vehicle crash data. These include Toyota, Ford and Mercedes Benz vehicles to name a few. "Develop and implement, in conjunction with the domestic and international manufacturers. A plan to gather better information on crash pulses and other crash parameters in actual crashes, utilizing current or augmented sensing and recording devices." • What is Vetronix? Who is Bosch? Vetronix was the original manufacturer of the CDR equipment used to access the crash data stored in air bag modules. In 2006, the Vetronix Aftermarket Division merged with Bosch (Germany) Automotive Aftermarket. "What was my teenager doing in the Cadillac?" 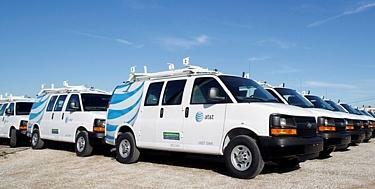 Need GM fleet management help? "It is our company policy that employees wear their seat belts. our company vehicle was wrecked?" What is 49CFR Part 563 Rule 563? sold in the US market after September 1, 2012. EDR which is intended to be downloaded after a crash. the public within 90 days of a vehicle's release for sale. compliance with NHTSA rule 563. May be using dealer scan tool + software. This information is changing almost daily. Subaru: Dealer scan tool plus software. Mitsubishi: Toughbook and interface part # MIT540031-EDR. Jaguar / Land Rover: Full dealer scan tool, Toughbook and software. May 2018 requiring a Windows computer, USB-to-CAN adapter and a MyTesla account. Toyota says tests show no problems with electronics. Automotive News. Service alert: Concerns with aftermarket fuses in GM vehicles. huge recall for air bags. Largest vehicle recall ever. 06/30/2016 NHTSA: Do not drive these Honda vehicles until the air bags are replaced. For many years, airplane crash investigators have had the benefit of retrieving data from the flight-data recorder. This information has proven invaluable for helping to determine what happened in the critical time before a crash. In 1997, the National Transport Safety Board (NTSB) made the recommendation that vehicle manufacturers and the National Highway Traffic Safety Administration work together to gather information on vehicle crashes using onboard collision sensing and recording devices. As a result, General Motors expanded the data downloaded to permanent memory in the air bag sensing and diagnostic module at deployment or in a near deployment collision. Since 1973, when GM first introduced air bag equipped cars, some crash data has been recorded. As explained in the owner's manuals of GM vehicles, the amount of recorded data has expanded with time and technology. The capability to record pre-crash data was included with some 1999 GM vehicles following the NTSB's recommendation. The Vetronix CDR System helps further the NTSB's recommendation by creating a product that downloads the data stored in recordable air bag modules. General Motors has authorized Vetronix Corporation (now Bosch) of Santa Barbara, California, to develop software, hardware and interface cables to allow the recorded data to be downloaded to commonly used computers. Data useful to researchers and investigators, such as delta-V, driver seat belt usage, and pre-impact data is stored and displayed in an easy-to-read format. This new tool also allows the investigator to input other pertinent information, such as weather conditions, and export the data to a remote database. 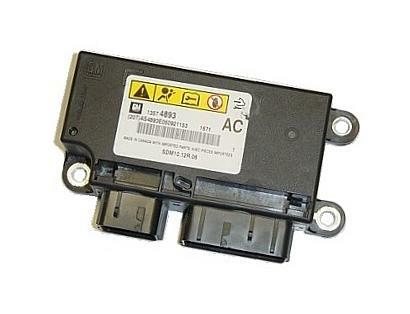 Interface cables that connect directly to the airbag module are available for vehicles that cannot be powered up after a crash. We accept American Express, Discover, Visa, MasterCard credit cards. Bank debit cards also accepted. © ® ™ Copyright 2001 www.airbagcrash.com . All rights reserved.